The Hanada family consists of a mother and four daughters whose lives are simple yet peaceful and content. Eldest daughter Akiko immediately entered the workforce after completing her schooling so to reduce the burden on their mother. Second daughter Fuyuko remains at home, taking care of cooking and all the family needs. They all pin their hopes on the younger daughters—Natsuko and Haruko—to enter university and to better their lives. One day, a drunken Akiko divulges a secret that she has long kept secret—she is discriminated at her company because she is unmarried. From then on, the topic of “marriage” stirs up a huge storm in the quiet family. The five women choose their own paths: some are hesitant with love while others forge ahead without fear. Every woman’s pursuit of happiness involves complex layers of matters of the heart. 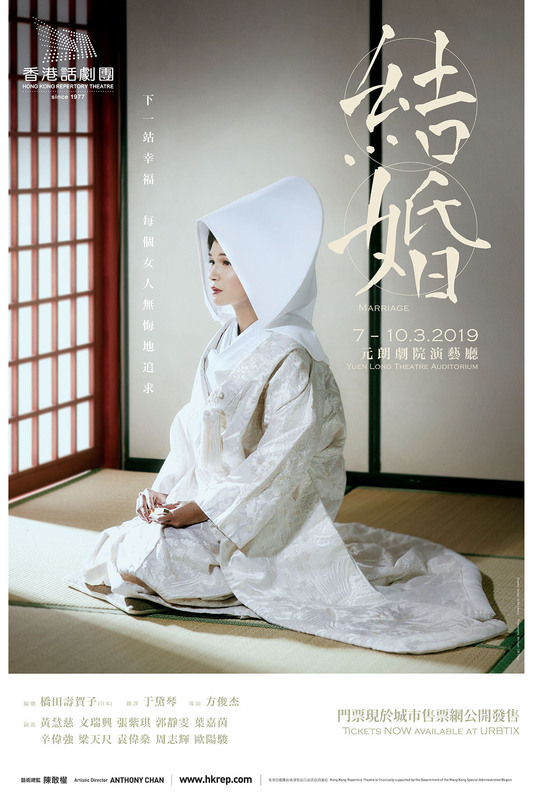 The playwright of Marriage, Hashida Sugako, has received numerous accolades for such masterpieces as Oshin, Wataru Seken wa oni Bakari and Akai Giwaku, all of which have moved countless audiences. The 2015 premiere of the HKRep production of Marriage received 11 nominations at the Hong Kong Drama Awards, winning in such categories as Best Set Design, Best Costume Design, Best Lighting Design and Top Ten Popular Productions. This rerun reintroduces the audience to this moving tale about the pursuit of happiness.